Our Grassroots philosophy is dedicated to empowering our volunteer coaches with an array of information, instruction, concepts, theories and specific traits to help each player establish a foundation of fundamental skill on and off the field with the ultimate goal of strengthening the culture within CSA, AZSC and US soccer from the ground up. Under the guidance of AZSC’s GRP Recreational Director, AZSC’s Thunder professional approach, philosophy and structure will merge with the CSA/AZSC recreational program volunteers. The GRP curriculum provides its volunteer coaching staff with a specific pathway for the duration of the 8 week program. The quality of this relationship directly affects overall success, strengthens the emotional intelligence of its members and fosters the sense of P.R.I.D.E. (Passion, Respect, Integrity, Discipline and Excellence) throughout the entire club. 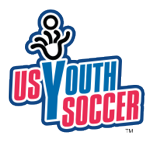 Since 2007, CSA has dedicated its efforts to the development of youth soccer players, while providing opportunities which promote healthy living, good sportsmanship, and the establishment of leadership skills. Both CSA and AZSC encourage its players to use soccer as a vehicle to pursue an education and create a foundation for their future on and off the pitch. For information on the current CSA Recreational Season, please click on the button below to link to our partnership page at Arizona Soccer Club. To Register your child(ren) please click on the Registration link below. Please know that your child's registration is not complete until payment has been applied to the registration. NOTE: Clicking on the below link will transfer you to the AZSC GRP Registration site.